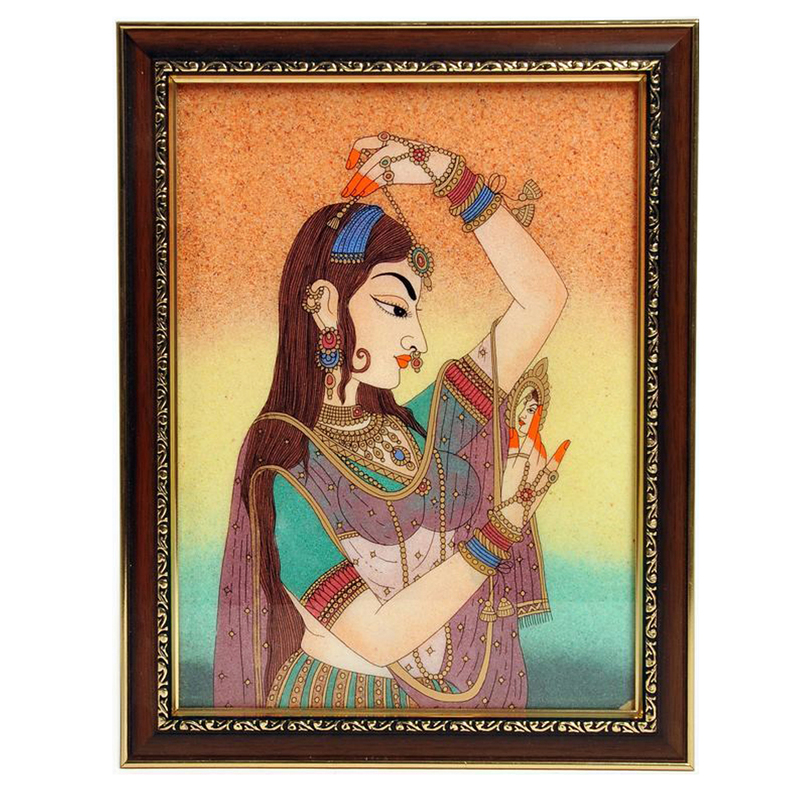 The stupendous painting of a traditional women is just ideal to exemplify your sitting area or office. This painting is a framed one and can Read More..make an ideal gift for art lovers. The picture depicts the beauty that lies in an indian women. Help your place look more attarctive with this painting. The painting is done on wood which makes it all the more enticing and beautiful. Show Less..